Gorgeous double heart necklace by Indulgence with one plain gold heart and one diamanté heart and link on an adjustable silver chain. 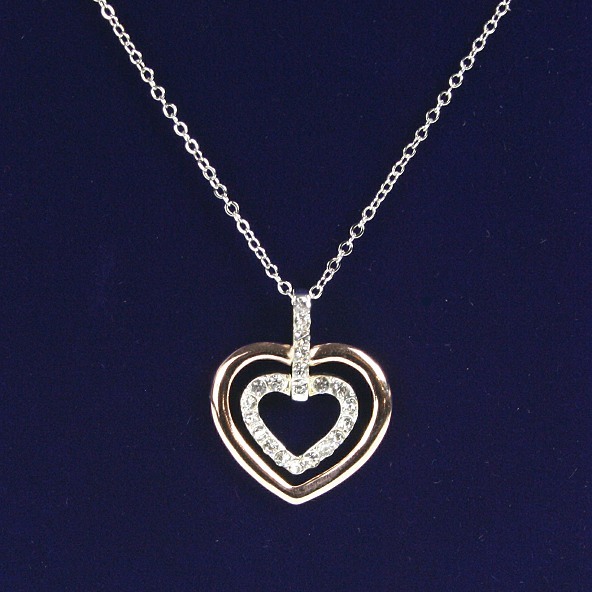 A beautiful gift for the one you love. An elegant heart bracelet by Indulgence with a row of gold and silver hearts each with a large light reflecting diamanté stone. A beautiful large cream heart keyring edged with little pink hearts and the words 'Home is where the heart is' written in silver.